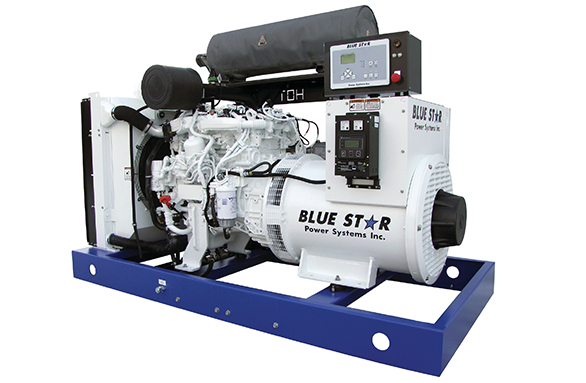 We offer Blue Star Power Systems diesel generator sets ranging from 30 – 2500 kWe. Our expertise and flexible customized solutions offer you the opportunity to receive a unit fit perfectly to you or your customer’s particular application. Whether your need is continuous power, the ability to cover peak loads, or simply peace of mind with back-up emergency power, our goal is always to develop a long term partnership well beyond the sale. Our commitment to fuel efficiency, and current EPA emissions standards provide you with the most technologically advanced, environmentally friendly unit available. All units are UL 2200 Listed, CSA Certified, & Seismic Certified to IBC 2012.